Key Difference: A Smart TV can access the internet via Wi-Fi, whereas a normal TV cannot. A Smart TV may also have the facility to run apps that come built into the TV. The main difference between a Smart TV and Normal TV is that a Smart TV is smarted than a normal TV. It is termed as being smarted because it can do more. Primarily, it can access the internet via Wi-Fi, a functionality that has become a must in today’s technology and internet driven world. 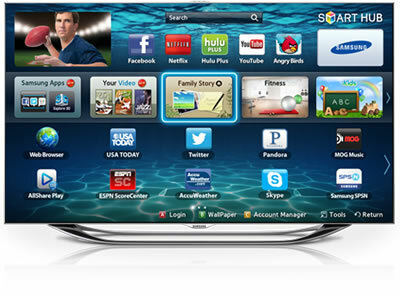 Smart TVs can also have app built in which allow it to access the information on the internet. These apps also allow the TV to stream content without the need of any additional equipment, as long as it has access to the internet. It also ideally comes with a built in web browser, which allows one to access content on the internet. Additionally, a Smart TV may also provide Internet TV, i.e. TV shows and videos that are distributed on the internet, over-the-top content (OTT), i.e. audio, video, and other media over the Internet, as well as on-demand streaming media, such as Netflix, Amaxon Prime, Hulu, YouTube, and other TV shows and movies that can be streamed over the internet. A Smart TV may also have home networking access, which basically allows it to become the media center of the home. A Smart TV may also feature online interactive media, where the users can actually interact with the television either through a remote or other device, or directly by touching the screen if the device has touch screen. It can be said that a Smart TV is something of a hybrid between a TV and a computer, as it serves the basic functionality of a TV, while also having technology and services that are typically associated with a computer. However, it should be noted that while all these features are common in a Smart TV, each Smart TV is different. Depending on the version of the TV, the manufacture, and the various technologies, the actual features of Smart TV may differ in reality. Some may not have all these features, whereas others may have additional features. Hence, it is best to check the features on each individual Smart TV. In comparison a normal TV does not have all of these features. It is just basically a normal TV that most people are used to. However, there are many other devices on the market that provide some of this functionality to a Normal TV, such as Chromecast, Roku, etc. These devices aim at turning a Normal TV into a Smart TV. A television that has access to the internet, hence is ‘smarter’ than a normal TV. 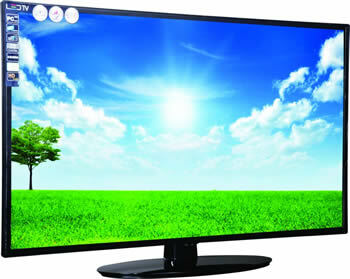 A basic television that allows one to view images and listen to sounds, i.e. watch videos.